FLORENCE – The number of teams playing in the Pepsi Carolina Classic might be down, but the number of potential contenders for the title certainly isn’t. The three-day tournament begins Thursday at the Florence Center, and right away it features one of the marquee names as defending champion and top-seeded Hartsville takes on South Florence in the 2:30 p.m. game. “We’re going to go in and play the best brand of basketball that we possibly can – just like we did last year,” Red Fox coach Yusuf English said. “The focus doesn’t change. We’re going to continue to do what we did last year and play as hard as we can. In fact it’s the deepest field English has seen in his three years at Hartsville, he said. All three city schools will be represented, including Class 4A state runner-up Wilson, which is back for the first time since 2014. Wilson is the No. 2 overall seed and not the only set of Tigers vying for the title. Defending Class A champion Hemingway comes in as the No. 5 seed. Hemingway will face Class 2A state runner-up Carvers Bay while another 2A contender, Marion, will battle perennial 4A power Darlington. In all, seven of the eight teams qualified for the postseason a year ago with four of the seven making it to at the least the semifinal round. “Sometimes you get a tournament that’s top-heavy, but that’s not the case here, as top to bottom you’ve got a lot of very good teams,” English said. Hartsville and Wilson actually are right around the .500 mark for the season so far, but the third-seeded Falcons already have a double-digit win total. Darlington has never won the Pepsi Carolina Classic, but Heilbronn is hoping this team can change that. Still, it won’t be easy, as the Falcons have played a number of the same squads already and have a familiarity with a few more. Should their teams continue to win, both Heilbronn and English are hoping the experience at the Pepsi Carolina Classic will pay off come playoff time, as the lower state finals will take place in the same venue. “Preparation and getting used to the goals and the depth perception in that arena – it’s definitely a plus to play in the Florence Center, because hopefully it’s a precursor of things to come,” English said. FLORENCE, S.C. — Construction came to a close and the Florence Center, previously known as the Florence Civic Center, opened up for business in January of 2018. Plans for the 25,000 square-foot expansion to the facility were announced in early 2017 and included an 8,000-square-foot courtyard, a 5,000-square-foot kitchen and 8,000 square feet in sub-dividable meeting space. The expansion offered six different meeting rooms and a junior grand ballroom, which brings the total amount of space of the facility to 75,000 square feet. Because of the expansion, Florence Center General Manager Paul Beard said that bookings had gone “through the roof” earlier this year. In addition to weddings, meetings, reunions and anniversaries, the Florence Center hosted several events that brought thousands of people to the facility throughout the year. From WWE Live to Disney on Ice to Monster Jam to public ice skating and everything in between, the center stayed busy. The first event to benefit from the new space was the S.C. AgriBiz & Farm Expo in January. The facility also boasted the creation of three brand new events: the S.C. Bridal Showcase, the Jingle Bell Market and the Greater Pee Dee State Fair & Expo. During the summer, the Florence Center hosted the 2018 National Horseshoe Pitchers Association World Championship Tournament, which brought more than 1,000 pitchers to the Pee Dee area and more than $3.5 million in economic impact. And less than a month later, the Florence Center announced that it would be bringing back arena football to the Pee Dee in the form of the Carolina Havoc. The Havoc are slated to start their season in the spring of 2019. To close out 2018, the Florence Center will host the Pepsi Carolina Classic, a showcase tournament for high school basketball teams from around the area. FLORENCE, S.C. — Construction on the new Hyatt Place in downtown Florence is inching to completion. The construction on the Hyatt Place Downtown Florence, a five-story, 103 room property, began in the summer of 2017. The hotel was developed by SpringBridge Development LLC and will be managed by Raines Hospitality, a locally owned company that manages several hotels in South Carolina and Florence including Hotel Florence downtown. Brittney Edwards, corporate director for sales and marketing at Raines Hospitality, said the hotel represents a $20 million investment in downtown Florence and creates more than 30 jobs in the market. Edwards said the company expects to open the downtown hotel in February. Edwards said that Raines Hospitality expects to see Hyatt Place excel just as Hotel Florence has in downtown Florence. Grey Raines, owner of Raines Hospitality, said the company has seen great support from the community of Florence. In 2018, Edwards said the company added two new brands to its portfolio, opening a Cambria Hotel in Mount Pleasant — the first Cambria in South Carolina — in July and a Hampton Inn & Suites in Columbia nearly a month ago. Raines Hospitality also took over management of a boutique property in Mt. Pleasant, The Inn at I’On & Palmetto House Inn, back in the spring and looks forward to it becoming an “Ascend Collection Member” with Choice Hotels at the end of the month. Edwards said that Raines Hospitality will add five new properties in the Florence, Charleston and Grenville markets in 2019. In Florence, the company will open the Hyatt Place in February followed by a Comfort Inn & Suites near the Florence Center in the second quarter of the year, according to Edwards. Additionally, Raines Hospitality will manage the Hyatt Place in Mount Pleasant’s Towne Centre, scheduled to open in the first quarter of 2019 and two Cambria Hotels, which will open in the fourth quarter of 2019 in Greenville and Summerville. “2018 has been a great year for Raines Hospitality and we have nothing but bigger and better expectations for 2019,” Edwards said. FLORENCE, S.C. – TD Bank provided funding for up to 150,000 meals to Harvest Hope Food Bank on Thursday afternoon. The TD Bank Charitable Foundation donated $30,000 to Harvest Hope. According to literature provided by the food bank, one dollar donated can provide up to five meals. The announcement indicates that the Pee Dee has some of the highest hunger rates in South Carolina, and one in five people suffer from food insecurity, including one in four children. 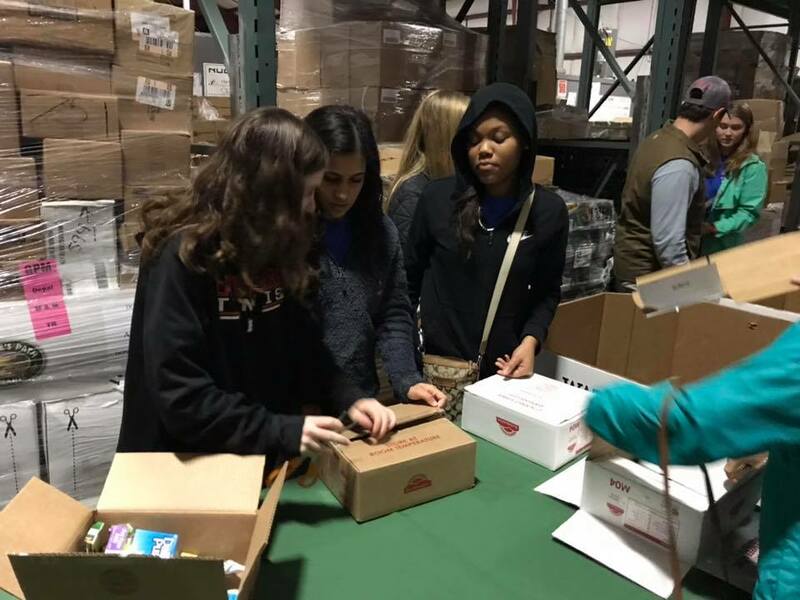 Echols said that because of the support of organizations such as TD Bank, the food bank is able to continue to serve the state. Lominack said it was easy for the bank to write a check to the food bank. He said that what the food bank does is unbelievable, and it was the bank’s honor to partner with the food bank. The donation also supports TD Bank’s commitment to community enrichment through its newly launched Ready Commitment, a platform that encourages inclusivity, economic vitality, environmental well-being and health. 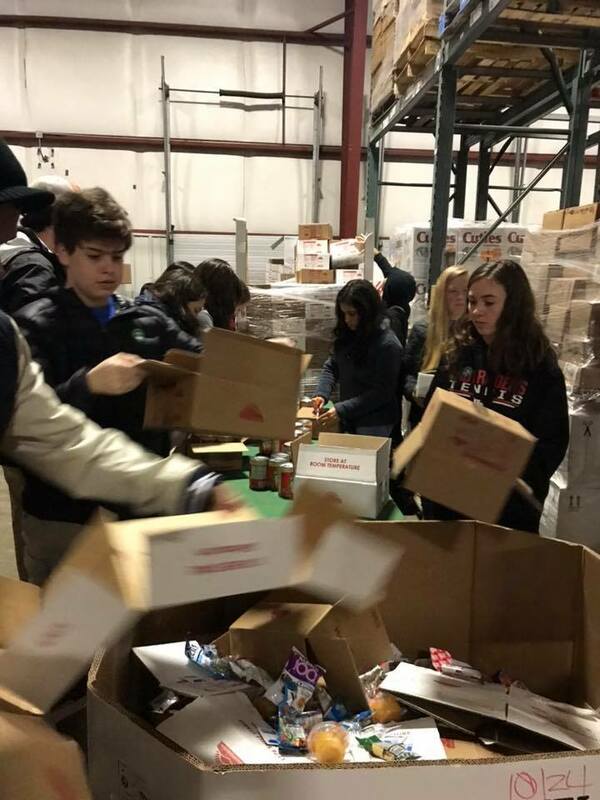 Harvest Hope Food Bank was founded in 1981 by business and faith leaders to provide food for the hungry in the Palmetto State. The food bank currently serves 20 counties in the state from four locations. One of those locations, Harvest Hope of the Pee Dee, is on West Lucas Street near Florence. 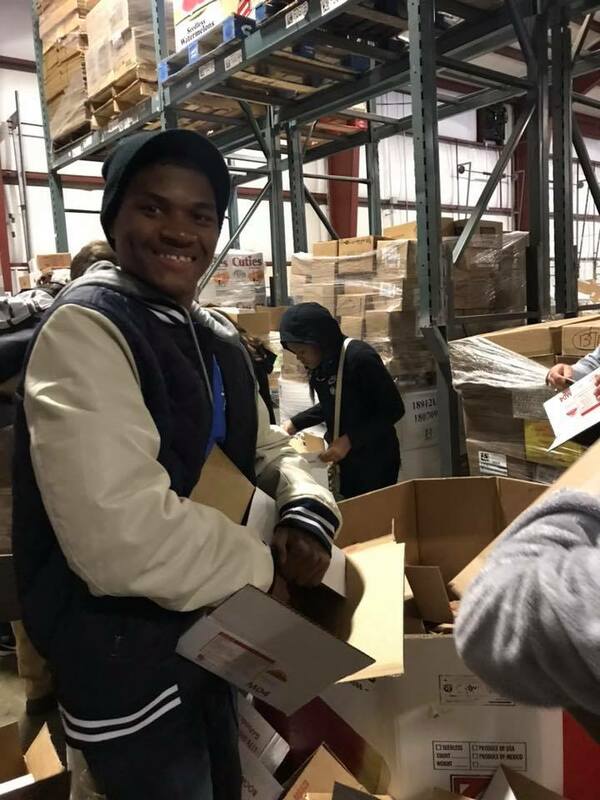 From that location, Harvest Hope has served 5,242,828 meals to residents of eight counties. Those eight counties are Florence, Darlington, Dillon, Marlboro, Marion, Chesterfield, Clarendon and Lee. TD Bank is the United States subsidiary of Toronto-Dominion Bank. The bank currently serves 15 states and Washington, D.C. TD Bank is the seventh-largest bank by total deposits and the eighth largest by total assets under its control. The bank’s charitable foundation was formed in 2002. It has distributed nearly $199 million in donations. 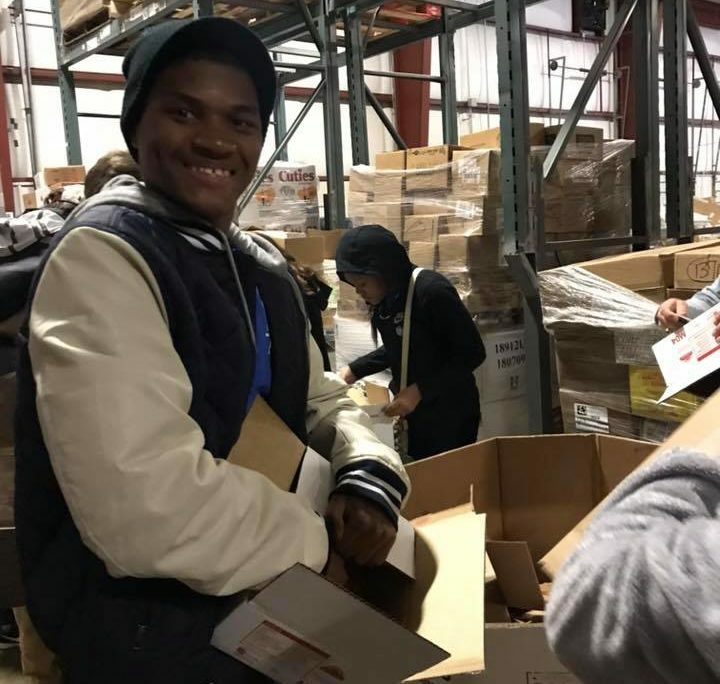 JLFC students putting food boxes together for members of the community at Harvest Hope on December 20. 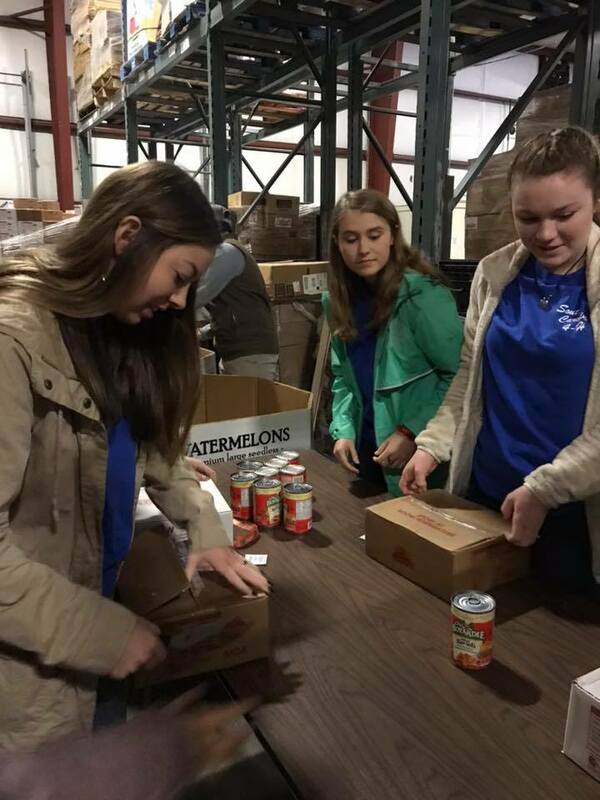 The 2018-2019 Junior Leadership Florence Class was busy Thursday morning helping out at Harvest Hope Food Bank during their Social Issues and Community Service Day. The JLF program is a partnership between The Greater Florence Chamber, The Florence County 4-H and Francis Marion University. 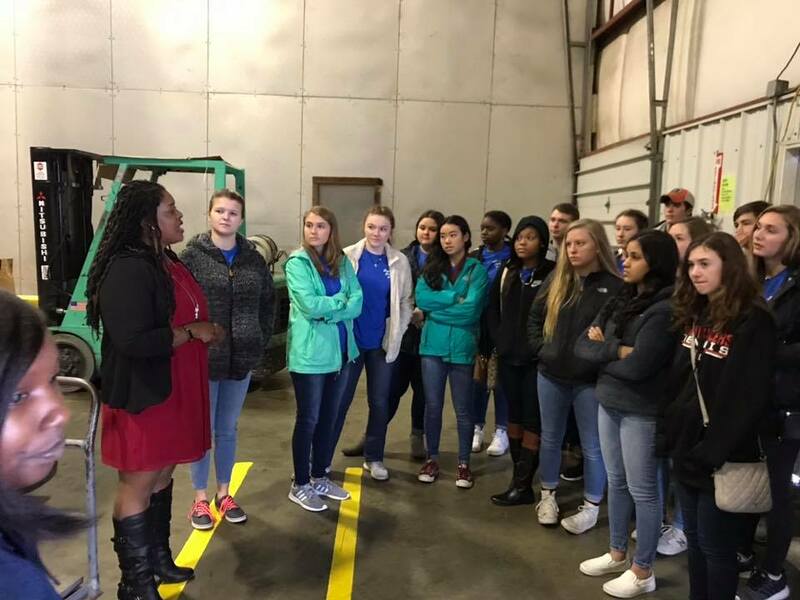 The program is similar in nature to the Chamber’s Leadership Florence program, but designed for our Florence County sophomore and junior level high schools students. FLORENCE, S.C. – Coffee lovers in Florence have a new place to get a cup of joe. Florence’s newest Starbucks opened Monday morning in a new shopping plaza across from the main campus of Carolinas Hospital System on Pamplico Highway. Owle added that before coming to the Pamplico Highway store, he served as a store manager of the Five Points Starbucks. He said he trained the manager to take over the store. He also said he wanted the challenge of opening a new store. Before working at Starbucks, he served as a meat department manager at a Publix. Owle also said that the location was chosen because of the proximity of the hospital as well as the ongoing development in that southeastern area of Florence. Starbucks was founded in 1971 in Seattle. It expanded from six stores in the Seattle area in the 1980s after being purchased by former manager Howard Schultz. Schultz served as the chief executive officer of Starbucks from 1986-2000 and 2008-2017. The chain now has over 28,000 locations around the world. For more information, visit starbucks.com. FLORENCE, S.C. — After more than two years of anticipation, Carolina Bank officially opened the doors of its new headquarters Monday in an estimated $4.5 million investment and expansion in downtown Florence. The 19,200-square foot building will host the bank’s 15th branch location, as well as Carolina Bank’s headquarters, operations and administrative offices. Brian Falcone, senior credit officer for Carolina Bank, said that the company has helped finance projects downtown, including Hotel Florence, The Waters Building and part of Kress Corner. “We feel like we’ve been involved in downtown, but we’re very excited to be opening the new branch in downtown and to move our operations to Florence,” Falcone said. Falcone said Carolina Bank’s lending volume in Florence has increased from around 20 percent to 75 percent over the years. That was a major factor in the company’s decision to move to downtown Florence, according to Falcone. Falcone said the bank moved approximately 30 jobs to the downtown location and created roughly six jobs with the new branch. Last year, the bank announced that it would take over the former Art Trail Gallery at 185 W. Evans St. for its new company headquarters. The original plan was for construction to be completed and for the bank to move into the new building in December of 2017. Falcone said that Carolina Bank was interested in the property because of its historical layout. The first floor of the bank includes the new branch operations and wealth management services. The second floor is dedicated to operations, such as loan, computer and deposit operations. The third floor houses several administrative offices for Carolina Bank’s headquarters. Carolina Bank opened its first office in 1936 in Lamar. FLORENCE, S.C. — The Piggly Wiggly Pharmacy celebrated its one-year anniversary with a grand-reopening and a ribbon cutting Friday afternoon. The Piggly Wiggly Pharmacy, located at 1945 W. Palmetto St. inside the Piggly Wiggly grocery store, accepts all insurance plans and is an independently owned local pharmacy. Brian Long, pharmacist in charger, said the pharmacy was formerly Sup-RX, but rebranded and reopened with the new name under new leadership last year. “We’re just celebrating the fact that we’ve been open for a year and we really want to become more involved in the community and help people out as much as possible,” Long said. As part of that desire to be in the community, Long said, the pharmacy has supported a YMCA soccer team, provided many more immunizations over the last year and looked for opportunities to communicate with people and offer the lowest prices possible. He said joining the chamber was the next step in the pharmacy’s growth in community outreach. Attendees were able to stop by the pharmacy and enter to win a touchscreen Chromebook, a fire pit or a television, as well as enjoy free food and other giveaways. Piggly Wiggly Pharmacy is open from 9 a.m. to 6 p.m. Monday through Friday and from 9 a.m. to 1 p.m. Saturday. For more information, call the pharmacy at 843-673-9107. FLORENCE, S.C. — Members of Florence County Progress gathered Thursday evening at Seminar Brewing Company for the organization’s Holiday Networking Event. Florence County Progress, the private-sector arm of Florence County Economic Development Partnership, was created in the early 1980s by business leaders throughout the county to provide support and leadership to the publicly funded economic development program. Cameron C. Packett, membership relations manager, said the event was a chance for members of Florence County Progress to network during the holiday season. Packett said hosting networking events allow business and community leaders to come together for the betterment of Florence County. She said the organization had a successful year and looks forward to 2019. Florence County Progress will host its annual membership luncheon on Thursday, Jan. 17, at the SiMT building on the campus of Florence-Darlington Technical College. The event was held at Seminar Brewing, which is at 551 W. Lucas St. Seminar is Florence’s first commercial craft brewery. Florence County Progress works to recruit new business and industry to the area while helping existing industry expand. For more information or to join the partnership, contact Packett at cpackett@florenceco.org or 843-676-8796. FLORENCE, S.C. — Pee Dee Tax & Payroll joined ambassadors from the Greater Florence Chamber of Commerce on Thursday to celebrate the company’s new chamber membership. Pee Dee Tax & Payroll, at 3344 W. Palmetto St., was established in 2015 by partners Audrey Jordan and Ryan Miller. The company offers individual and small-business professional accounting services, tax preparation, up to $6,000 income tax refund advances and full-service payroll options. Miller said he has known Jordan for more than 19 years and the two worked together in several professional settings before Jordan decided that she’d like to open her own agency. The two partnered to bring the business to Florence a little more than three years ago. Miller said joining the chamber was a way for the company to take its first steps in being involved in the community. Pee Dee Tax & Payroll is open from 9 a.m. to 5 p.m. Monday through Friday with extended hours during tax season. For more information or to get in contact with the business, call them at 843-407-1500 or visit PeeDeeTax.com.